Which Airports Are Worst for Summer Flight Delays? Summer flight delays are oftentimes more frequent and debilitating than their winter counterparts. MileCards.com recently analyzed on-time arrival data from the U.S. Department of Transportation for the past 10 years dating back to 2007, uncovering the best and worst airports for summer flight delays. 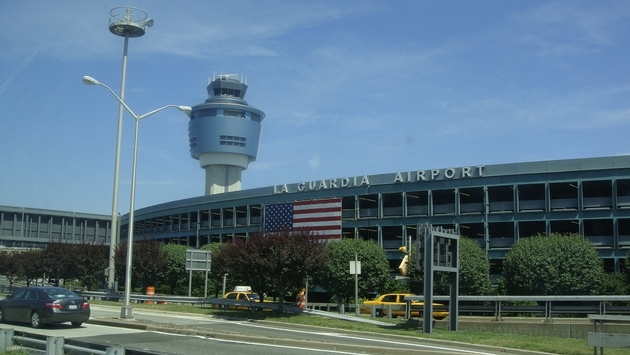 The comparison service examined the 50 busiest airports in the U.S.
Unsurprisingly, three of the four worst airports for on-time summer arrivals are located in or around New York: Newark Liberty International (66.5 percent), LaGuardia (66.9 percent) and John F. Kennedy International (69.2 percent) ranked first, second and fourth in worst on-time arrival percentage between 2007 and 2016, respectively. San Francisco International (69 percent) and Boston's Logan International (72.1 percent) round out the top five worst airports for on-time arrivals in the summer, according to MileCards.com's 2017 Summer Flight Delay Study. While undoubtedly better, Chicago's O'Hare, Philadelphia International, Miami International, Ronald Reagan Washington National and John Glenn Columbus International Airport also cracked the list of the top 10 worst for summer travel with average on-time arrival percentages ranging from 72.3 percent to 73.9 percent. Hawaii dominates the list of the best airports for on-time arrivals during the summer. Kahului Airport and Honolulu International Airport rank Nos. 1 and 2 at 88 percent and 86.5 percent, respectively. The West also reigns supreme when it comes to the top-performing airports in the mainland U.S.
Salt Lake City International, Orange County's John Wayne Airport, Phoenix Sky Harbor International, Portland International, Seattle-Tacoma International, San Jose International, Minneapolis-St. Paul International and Las Vegas' McCarran International are among the best U.S. airports for summer travel, boasting an on-time percentage of 79.5 percent or better. MileCards.com's research also found that 40 percent of the top 50 U.S. airports have more summer than winter delays and that June is the worst month for summer delays—with more than three-quarters of the 50 busiest airports experiencing more frequent delays in June compared to July or August. The website declared that Houston's George Bush Intercontinental Airport is the best United Airlines hub for on-time summer arrivals while Phoenix is the top-performing American Airlines hub this time of year. Delta Air Lines' best hub for summer travel is Salt Lake City. In order to combat summer flight delays, MileCards.com recommends air travelers check for waived change fees before they check in, take advantage of in-flight Wi-Fi to rebook on their way to their destination and choose their airports and departure times carefully. Click here to view MileCards.com's complete 2017 Summer Flight Delay Study.